Things are shaping up nicely at the Homes. 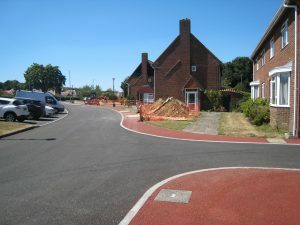 Currently, we are having the pathways replaced at the front of the Homes and also behind the Jewell Road Flats. Photo below taken mid-process – more to follow! Also, The National Citizenship Scheme has sent us a team of helpers to transform the Jewell Road flats gardens into communal gardens for everyone to enjoy. 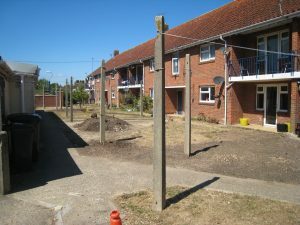 The photo below has been taken mid-process and we are just waiting for the lawn to be laid.